It isn't always easy to identify spondylosis as the cause of spinal pain. Because it can develop as the result of aging, it comes on gradually and can have many related conditions—degenerative disc disease (DDD), for example. To determine spondylosis, your doctor must perform do some spondylosis exams and tests. If you have back or neck pain that comes on suddenly, or if you have pain that persists, call your spine specialist. 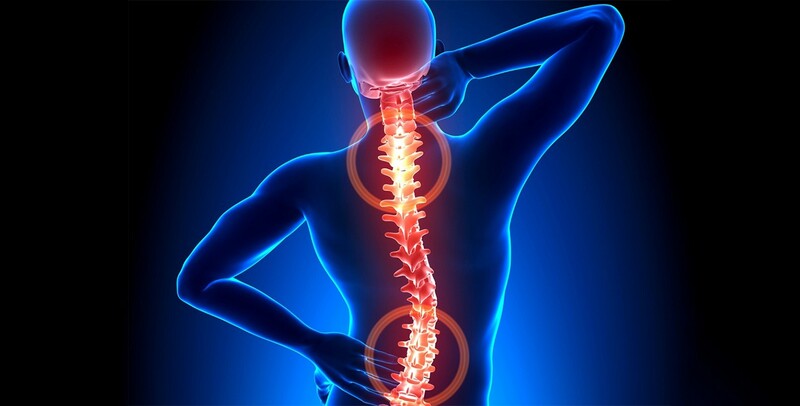 (If you don't already have a spine specialist, you can find one using our Find a Back and Spine Specialist feature Find a Back and Spine Specialist). Your doctor will try to find the cause of your pain so that he or she can develop an accurate treatment plan for you—a way to manage your pain and other symptoms of spondylosis and to help you recover. First of all, your doctor will ask about your current symptoms and remedies you've already tried. What activities did you recently do? What have you done for your pain? Does anything lessen the pain or make it worse? Your spine specialist will also perform physical and neurological exams. In the physical exam, your doctor will observe your posture, range of motion (how well and how far you can move certain joints), and physical condition, noting any movement that causes you pain. Your doctor will feel your spine, note its curvature and alignment, and feel for muscle spasms and areas of tenderness. The doctor may also check other joints to rule out those as the source of your back pain. He or she may examine your knees, hip joints, and/or sacroiliac joints. (Your sacroiliac joints are formed by the sacrum—a region at the lower end of the spine—and the ilium, which is the upper part of the hip bone. This animation explains and shows the sacroiliac joint Sacroiliac Joint). During the neurological exam, your spine specialist will test your reflexes, muscle strength, other nerve changes, and pain spread (that is—does your pain travel from your back and into other parts of your body?). This evaluation also checks out other symptoms, such as numbness, tingling, or bowel and/or bladder problems. The neurological exam is especially important in spondylosis because the condition can affect your nerves or even your spinal cord. As he or she works towards a diagnosis, the spine specialist may have some imaging tests done. You may need to have x-rays, CT scans, or MRIs. For spondylosis, CT scans and MRIs are a good way of gathering information on multiple parts of your spinal anatomy. With an x-ray, your doctor will be able to see the bony elements of your spine—the vertebrae and, if you have any, the bone spurs (osteophytes). However, with a CT scan or an MRI, your doctor will be able to see the soft tissues as well—the ligaments and discs. MRIs are especially good at showing when there's something abnormal with a disc, ligament, or nerve root. CT scans can show enlargement of the facet joints, which could indicate spondylosis. This enlargement reflects inflammation and degenerative changes in the bone and cartilage—all things associated with spondylosis. If the doctor thinks you have nerve damage, you may need to have a special test called an electromyography (EMG). That will measure the integrity and efficiency of your nerves—how well they're working. Your doctor may also require you to have a bone scan as he/she tries to diagnose your condition as spondylosis. You will have a very small amount of radioactive material injected into a blood vessel. That will travel through your blood stream and be absorbed by your bones. More radioactive material will be absorbed by an area where there is abnormal activity, such as an inflammation. A scanner can detect the amount of radiation in all your bones and show the "hot spots" (the areas with more radioactive material) to help your doctor figure out where the problem is. Bone scans can reveal fractures of areas of abnormal inflammation. Below is an example of a bone scan. The image on the left shows inflammation in the neck (cervical spine) from severe degeneration. This is the kind of evidence your doctor will look for when diagnosing spondylosis. Then, to make the final diagnosis, your doctor will compare what he/she found in the physical and neurological exams with the imaging test results. With that information and a diagnosis of spondylosis, your doctor can develop a treatment plan.